The wild waves and swirling winds captivate my attention. 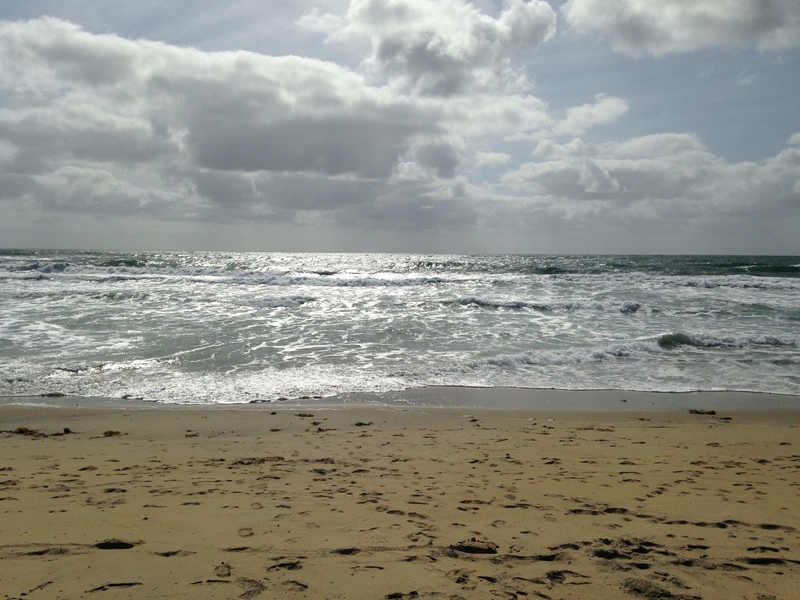 I could sit on this lonely beach for hours staring at the ocean, listening to the roar of the waves, tasting the freedom of time. What I would give to be able to do nothing. My Saturday morning started out as planned, working on more auction details, then heading out to pick up additional donations. As with many of my volunteer endeavors, my peeps get dragged along and Gigi is with me for the auction ride again. First stop, Coronado Brewery’s Tasting Room, which is actually in the Tecolote Canyon area (their Brew Pub is in Coronado). We make a quick stop at the location, with its massive metal vats of beer. Since it’s too early to indulge in beer tastings for us (not to many others who were there), we keep going. Next stop, Balboa Park to pick up some museum donations. And since it took forever to find parking, we decide we might as well enjoy the day and take a leisurely lunch at The Prado. The perfect mix of sun and clouds to create a lovely lunch on the patio. After chicken tortilla soup, a trio of skewers, and cream cheese flan with mixed berries, we sit in silence as true friends can, wanting to continue lazily enjoying the sunshine. 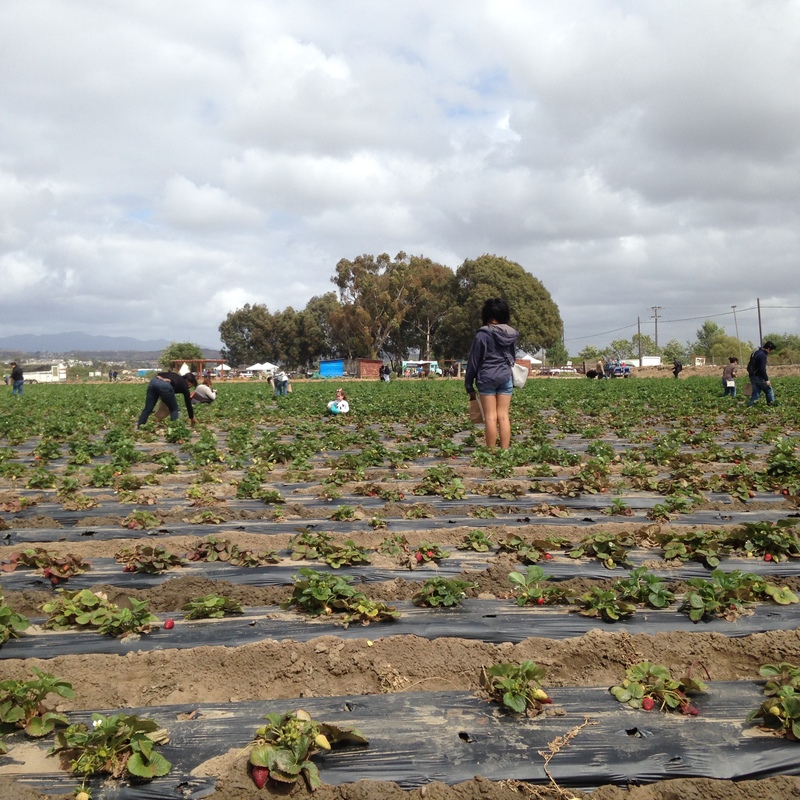 I remembered that today was Strawberry Jam Day at Suzie’s Farm in South San Diego. I had been wanting to visit the farm for a long time now, and had never been able to find time. I mentioned it to Gigi, and she had no plans for the rest of the day. What the heck, plus they were going to donate to the auction too. I type in the address on my handy dandy google maps app and away we go. Oh, I wish I had a convertible on a day like today. Now, Gigi has this thing about accidentally ending up in Mexico, so we make sure not to pass the exit prior to Dairy Mart Road (the last before the border), which is Tocayo. After passing a residential neighborhood, we turn down Hollister and to the left we see the farm. 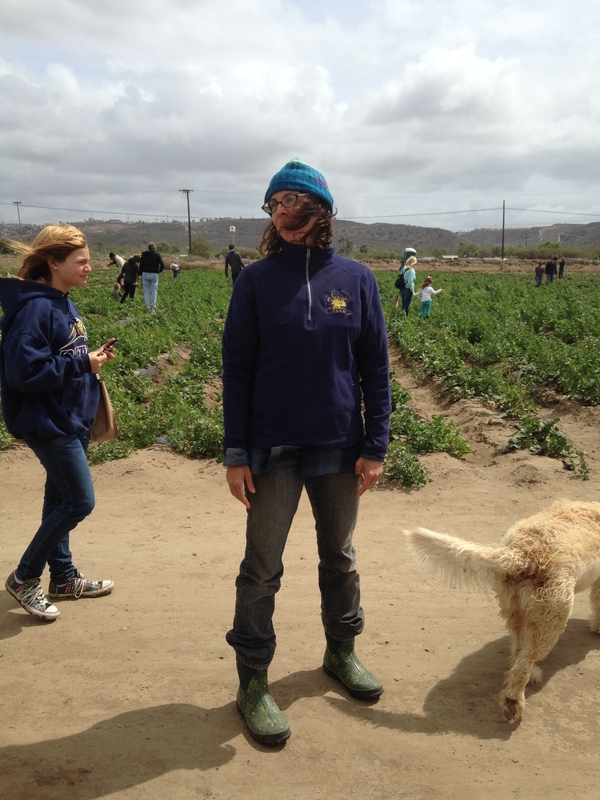 The farm is quite expansive, as over the years it has grown to 140 acres, and is the only organic farm in the city of San Diego. 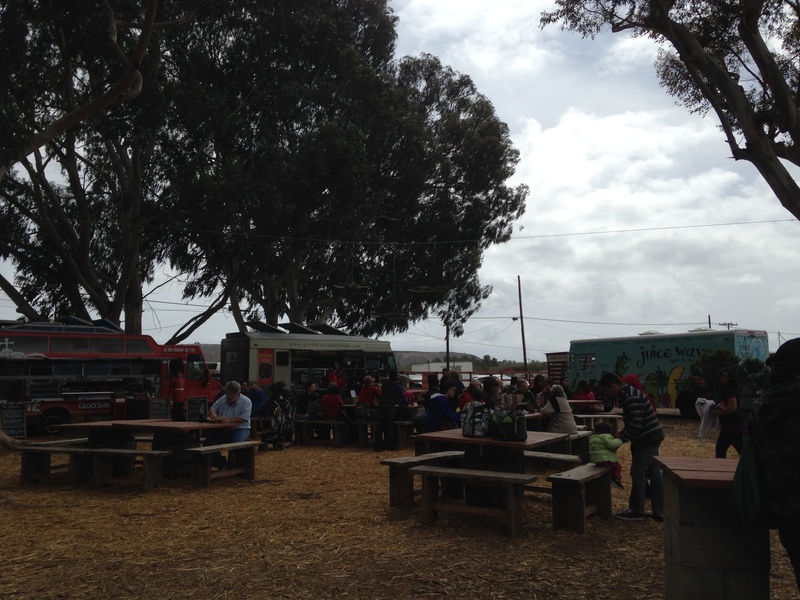 We can tell there is quite a crowd gathered, which has a festival feel with the food trucks, music, vendors, children’s activities, and the farm stand. 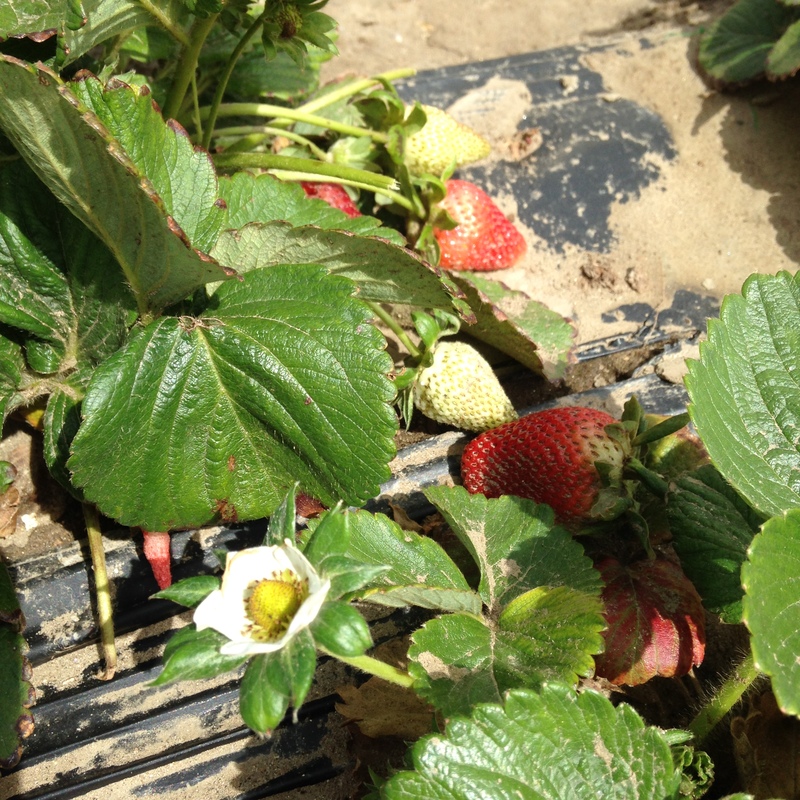 Plus, of course, strawberry picking. Before we start, I make sure to find Lucila de Alejandro, who along with husband Robin Taylor owns and created the organic farm just about a decade ago. Lucila and I once belonged to the same book club (back when I had time to read — now my pile of books I plan to read continue to grow bedside). After warm hugs hello, Lucila walks with us to the strawberry fields where many families are walking up and down the rows looking to pluck some red ripe berries. Her friendly farm dogs follow as we pass by the chickens going about their business pecking at the composted produce strewn about. 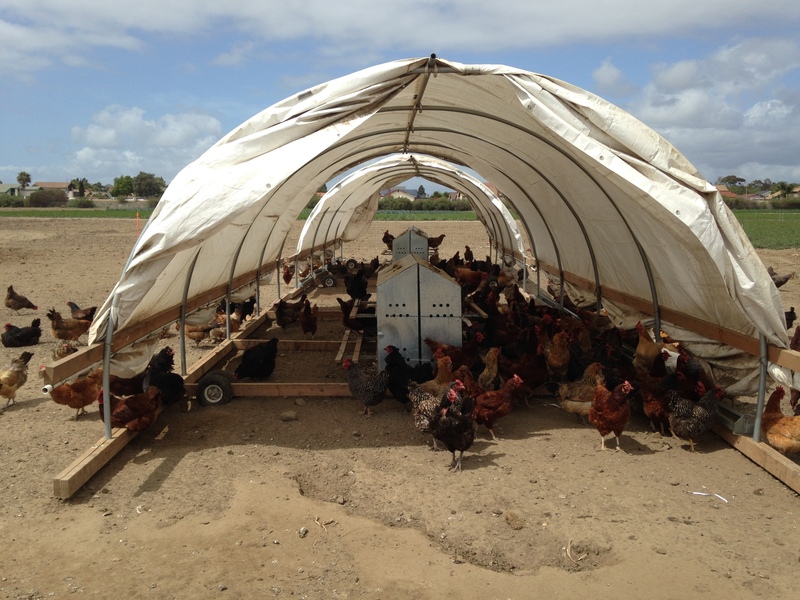 The chickens look happy. 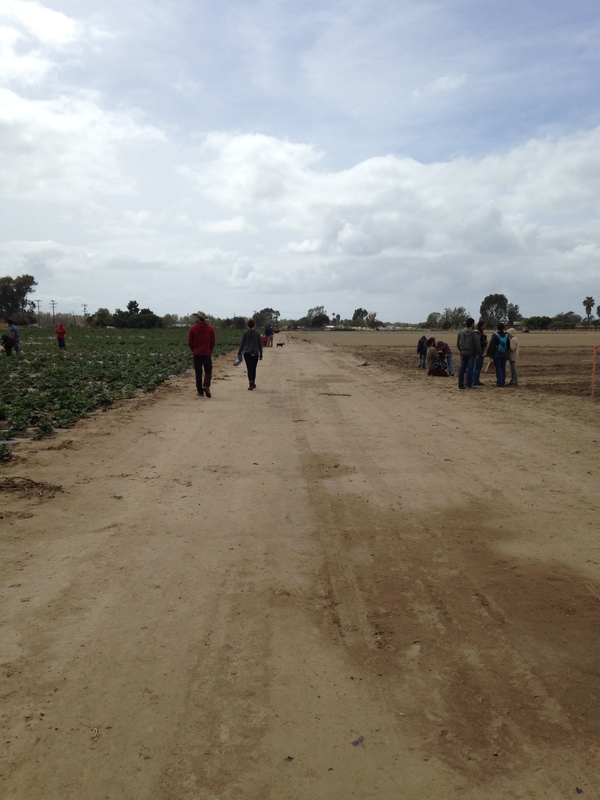 We start to look for our own strawberries to pick and head back to the furthest row, and walk towards the middle. At first I thought we got here too late, most have been picked over, but there was an abundance of berries. It becomes somewhat of a game, trying to find the ripe berries, some hidden under leaves which you don’t notice until you turn a different angle, bending down to get another view. We find plenty to fill our brown paper bags. Isn’t it funny how sometimes you search and search for something, and it’s right below your nose, you just didn’t happen to look at it the right way the first time. After filling up our bags, we wander over to the rest of the Strawberry Jam activities. There’s music, strawberry pickling, face painting, teepees, bean bag toss, ice cream, organic perfumes and soaps, tree swing, and a very welcoming hammock under a pair of trees that if there weren’t crowds of people around I would go and sneak in a nap. We make a visit to the farm stand where we select some produce and jars of strawberry jam, of course you need to get some on Strawberry Jam Day. There’s also some delicious bread pudding courtesy of Snooze Eatery. We find Lucila and say our good-byes. 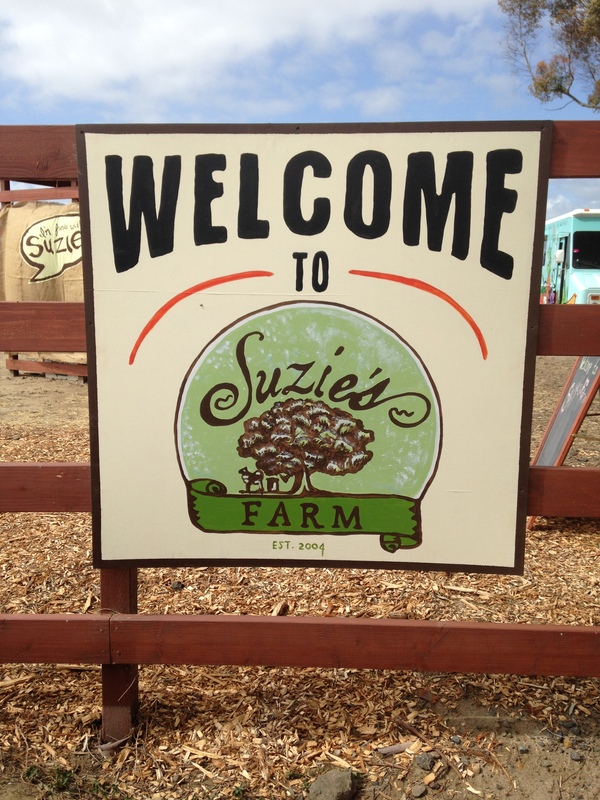 Although we say good-bye for now, Suzie’s Farm is such a welcoming place. 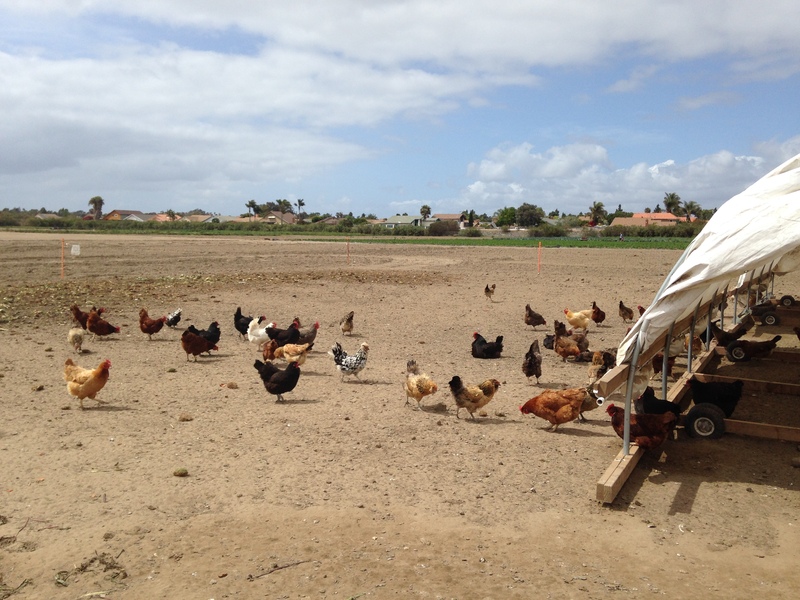 They have truly created a farm with a true sense of community and welcomes everyone. You feel like the farm belongs to you too. I look forward to returning, especially during an evening event where the openness of the fields and the stillness of the night would create an enchanting evening. 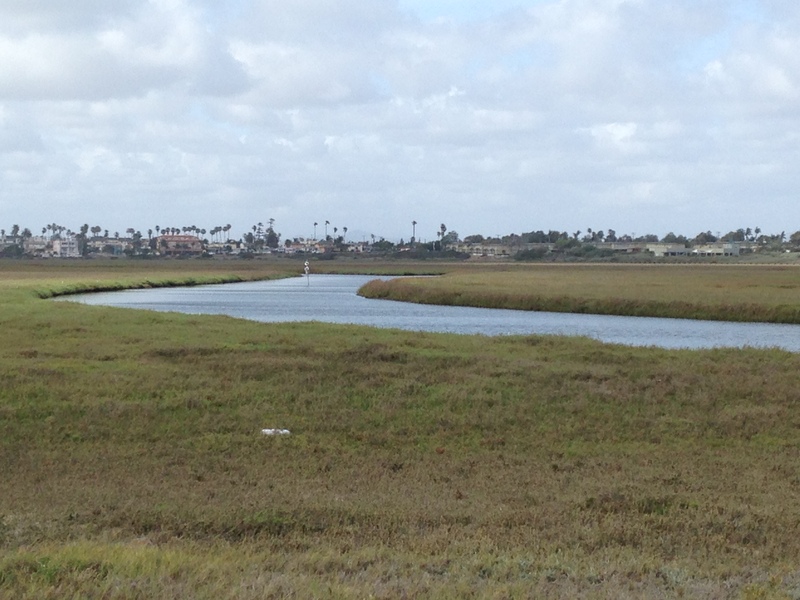 Since I don’t come down to these parts that often, we explore a little more taking the dirt road towards Suzie’s Warehouse, and around the corner to the horse stables that offers beach rides (a future week activity in the making). The stables looked closed so we had to head back. Wanting our unexpected day trip to continue, I realize that we must not be that far away from Imperial Beach, which during all my years in San Diego, I had never been to. Once we get back to the suburban neighborhoods, we continue a little north, then west to our next destination. I guess I expected to find a version of Mission or Pacific Beach. Imperial Beach is quite different. Much quieter, at least at this time of year, few restaurants, bars and souvenir shops. And very uncrowded and clean. 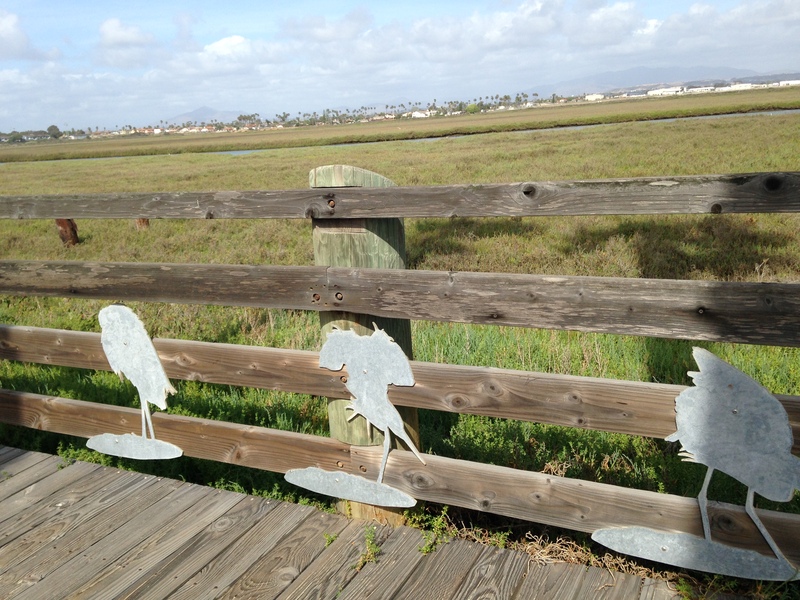 We head further south to the end of the road where it stops at the wooden overlook to the Oneonta Slough that connects with the Tijuana River. Although Mexico is still some distance away, you can see the white washed homes of the Playas de Tijuana. What a difference a few miles can make in a family’s history? After enjoying the beauty of the still, green marsh lands, we take a few steps over the sand hill to glimpse the restless, blue ocean. What a contrast of scenery just a few steps apart! I envy those who stay here and who can walk from one end of their home to the other and be enveloped in two different moods. (Note to self: check into summer rental rates.) I’m surprised by the solitude that one can find at this stretch of beach. There is only one other person here, and she too looks like a quick visitor. 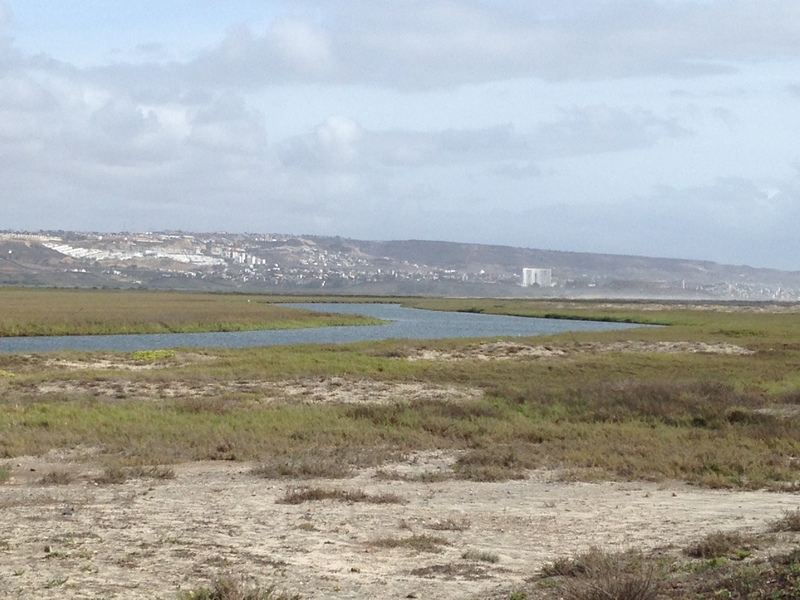 Mexico to the south, Coronado to the north. No wonder the ocean feels torn apart. Do the currents feel the tug of land borders? It’s starting to get late and time to head on over to the comfort of our homes. We continue the scenic drive and take the strand. Much of the strand is military, and you immediately notice some high circular fenced in building…hmm wonder what government secrets lie inside. We pass the cays, the military housing (how would you like to be stationed here), Glorietta Bay, and the Hotel del Coronado. Soon we are over the bridge and on the familiar freeway 5 homeward bound. It’s interesting to me how Imperial Beach property values are so much less than that of Coronado which is not that far away. Perception is everything. 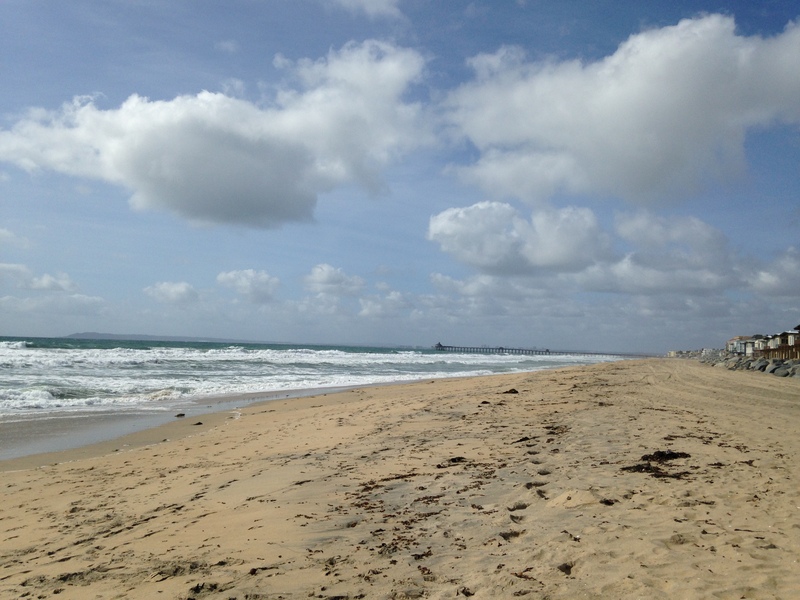 Maybe if we looked at Imperial Beach at another angle, we would give it more value. What a great day! Being able to wander and discover new places, even in our own backyard is part of my 50 weeks to 50 journey. There is so much to discover…everywhere…people, places, perceptions. Make sure to look at people and places at different angles, you’ll never know what you will discover. 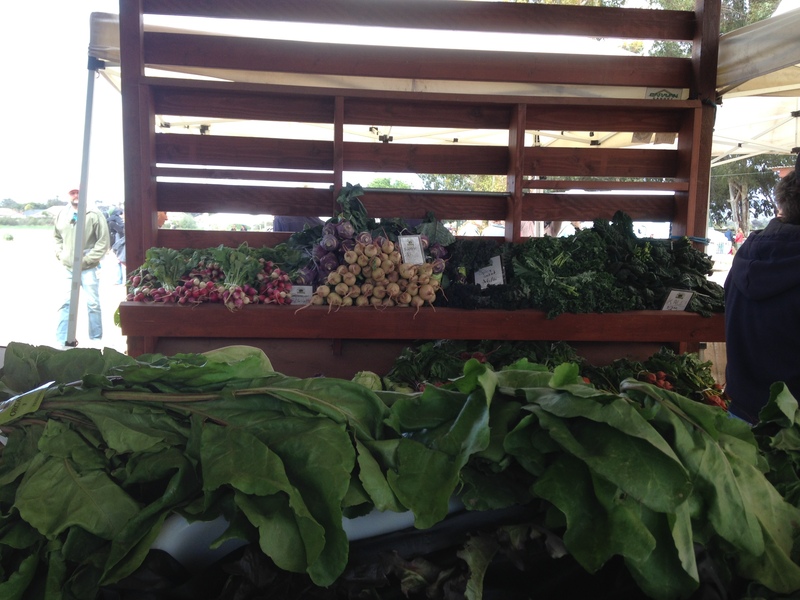 Notebook: Suzie’s Farms, www.suziesfarm,com, onsite farm stand open on Saturdays from 10:00am to 2:00pm, public and private tours are available. 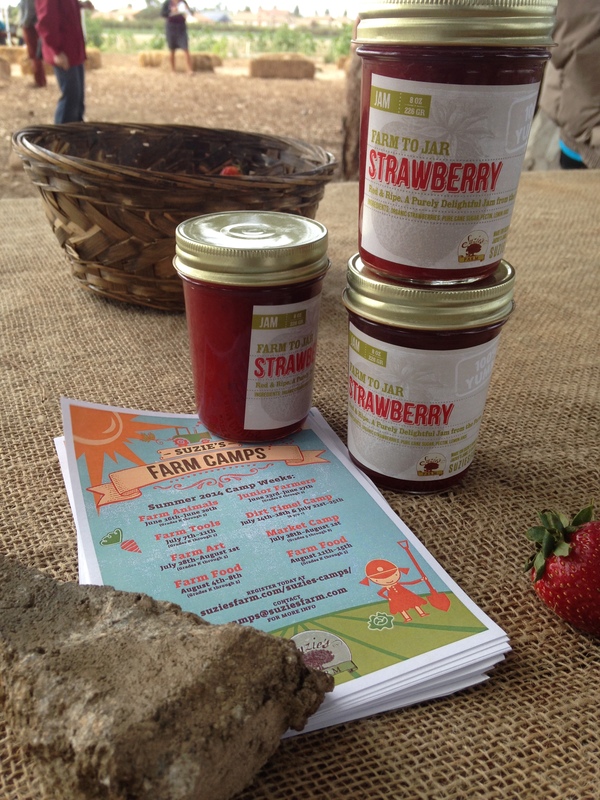 Check their website for info on upcoming events, childrens camps, and u-pick days. You can taste their produce by at select grocery stores such as Whole Foods and Jumbo’s, numerous restaurants and food trucks throughout the county use their produce, or get your CSA (Community Sponsored Agriculture) boxes available at their farmer’s market locations.